This originally appeared in the other blog I have. The visuals are nice though so I’m putting it here as well. Every year the local Rotary Club puts on a Bonfire and Fireworks display at Halloween. 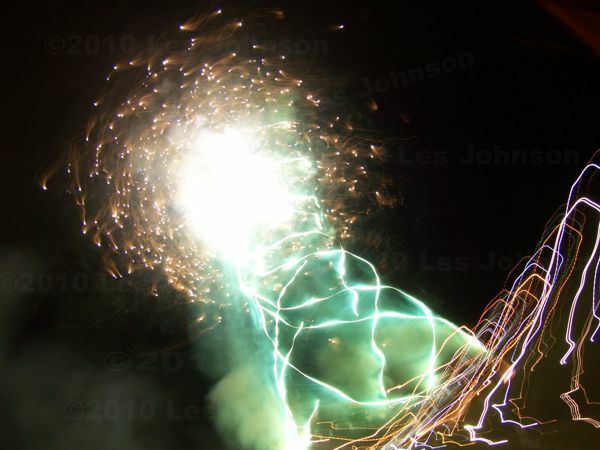 Back a few years ago I twigged to the neatest way to shoot fireworks with my camera – long exposure. This gave me amazing pictures. If my hand moved or shook while shooting it often enhanced the final product. AND the beauty was these pictures looked like ‘creations’ even though they’d never seen an image editor like PhotoShop! These two examples appear exactly as they were shot. 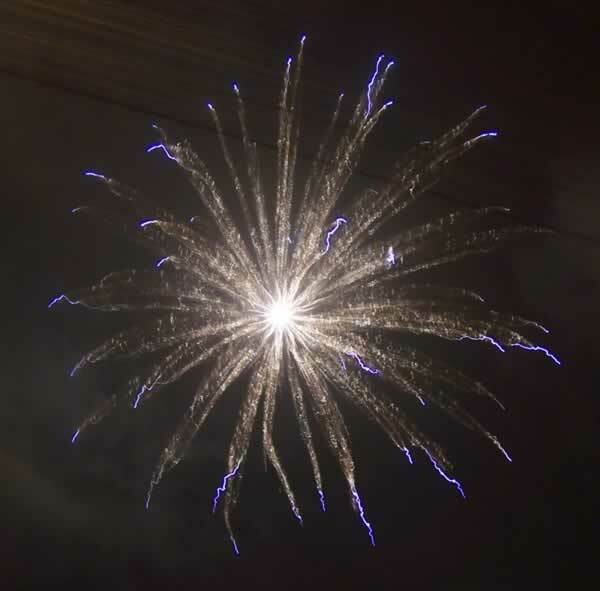 With a 1 to 2 second exposure time the camera can capture the evolution of the firework as it expands and changes. With standard exposure time it’s kind of like hoping that the short fraction of a second blink your camera takes will actually capture something interesting. Which it often does not. I shoot more video than stills but with the fireworks I relegated the video job to my dashcam while I took lots of stills with my two V570 cameras. Here’s the product of both of those efforts. First the stills set to bounce to music with Adobe AfterEffects.